New York filmmaker Mickey Lemle has been trying to make a movie about Ram Dass for over a decade. Fortunately, he's a patient man. Lemle (pronounced LEM-lee), an award-winning documentary filmmaker and television director, knew that Ram Dass--the controversial author and counterculture icon--would make a perfect subject for a film. He'd befriended Ram Dass 25 years ago, but didn't get serious about making the film until ten years ago, shortly after completing Compassion in Exile, an intimate profile of the Dalai Lama. But Ram Dass, says Lemle, wasn't ready yet, so the filmmaker went on to make Hasten Slowly, a documentary about English author-philosopher Sir Laurens van der Post. Still eager to make the long-delayed film, Lemle again approached Ram Dass and was once more asked to wait. "I kept telling him that he was my next subject," says Lemle. "But he kept saying, 'No, no, no. I'm not ready.'" Now that the finished film--Ram Dass: Fierce Grace--is finally enjoying its first official theatrical release, Lemle admits that the long wait was worth it. Even so, this deeply moving film is not the same movie he'd so meticulously plotted in his mind all those years. Ironically, because of a devastating--and quite literal--stroke of fate, Fierce Grace is a much more powerful and personal film than either Lemle or Dass could have imagined. Ram Dass first tasted celebrity when he was still known as Professor Richard Alpert. In 1963, Alpert was ousted from his position at Harvard University--along with fellow professors Timothy Leary and Ralph Metzner--for engaging students in prohibited LSD research. Following a soul-searching trip to India, Alpert returned to the United States with a nifty new name--Ram Dass, meaning "servant of God," a title bequeathed him by the late Indian spiritual teacher Neem Karoli Baba. With his new spiritually fueled perspective on consciousness and compassion, the former professor once again became a teacher, though now of a much different kind. As Baba Ram Dass, he was quickly embraced by a generation of hippies and other youthful seekers of enlightenment. His classic 1971 book, Be Here Now, went on to become, at one point, the biggest-selling spiritual volume next to the Bible. Then, in February of 1997, having just reached senior citizen status and hard at work on a new book about aging and death, Ram Dass suffered a major stroke that left him partially paralyzed, speech-impaired, and largely dependent on a wheelchair and a revolving team of aides. Now 70, Ram Dass has recently published Still Here, his long-planned book on aging that took an unexpected turn following his stroke. 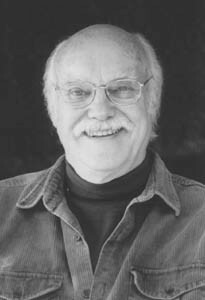 Lemle recalls a conversation on the porch of Ram Dass' San Anselmo home several weeks after the stroke. "[Dass] pointed to himself with his left hand, the one that still works," Lemle says, "and he said, 'This is not who I thought I was going to be. Because my vision of myself as an old man didn't have a stroke in it.'" According to Lemle, the next words that Ram Dass spoke altered his own view of reality: "He said, 'When I focus on who I used to be or on who I thought I was going to be, it brings up suffering. But if I just rest in awareness, I'm fine.'" Though reluctant to compare his movie problems to those of Ram Dass, Lemle admits there are parallels. "For years," Lemle says, "I knew exactly how I was going to structure the film. I knew what scenes I needed, what stories I'd want to tell. In the same way that the stroke changed everything for Ram Dass, it changed everything I was going to do. I had to let go of that film in my mind and come back to what was really happening in front of me." And what was happening in front of him was pretty amazing. But the most powerful moments show Ram Dass struggling, physically and spiritually, with the aftereffects of the stroke. One sequence shows Ram Dass enduring a physical therapy session. First, he's gently bullied into standing up and sitting down without assistance. Then he's forced to walk by himself--fearfully, with painful, halting steps--across the room and back again. It's a tense, nerve-wracking action sequence. In another astonishing scene, Ram Dass counsels a young woman who is deeply grieving the murder of her boyfriend. When she describes a dream in which her boyfriend appeared and offered sweet words of comfort, Ram Dass exclaims, "Yum, yum, yum" before being overcome by a flood of emotion, sobbing uncontrollably for almost a minute. It's not clear whether his outburst is a sympathetic response to the woman's story or a sudden eruption of his own feelings of grief and loss--or both. Either way, it is a truly stunning moment, one of many in Fierce Grace. The movie, says Lemle, has been remarkably well received. He tells of a cancer-stricken minister demoralized by his illness who approached Lemle in New York to say the film helped him find his faith again. Then there was the group of twentysomethings in Los Angeles, for whom Lemle screened the film last year. The result was one of the best critical quotes Lemle heard so far. "I didn't know how the movie was going to play," explains Lemle, "because none of them had ever heard of Ram Dass. But at the end of the screening, one of the young women said, 'I'd like to have 20 copies of this to show to all my friends who think they're suffering.'" 'Ram Dass: Fierce Grace' opens Friday, March 1, at the Rafael Film Center, 1118 Fourth St., San Rafael. For details, see or call 415.898.7469. From the February 28-March 6, 2002 issue of the North Bay Bohemian.